PITTSBURGH -- The numbers are staggering. Over 182,000 yards passing (more than 103 miles worth), nearly 1,300 touchdowns and seven championships, with an eighth guaranteed for whoever parties in the confetti in Houston next month. 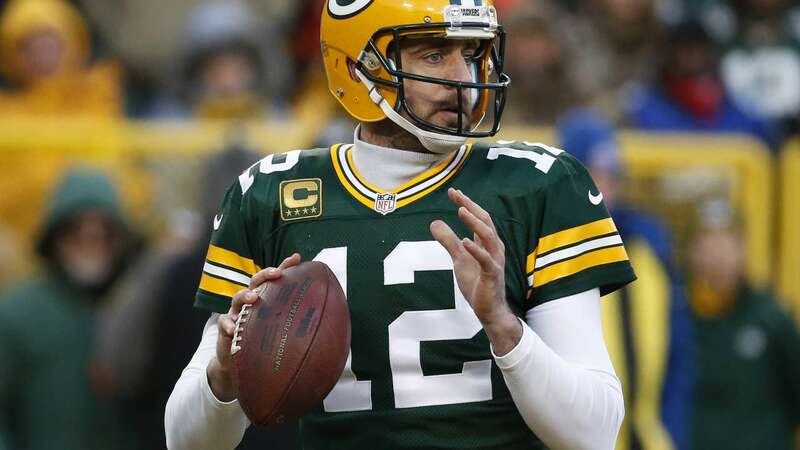 Yet the numbers that might define Tom Brady, Ben Roethlisberger, Aaron Rodgers and Matt Ryan as much as any other on their eye-popping, fantasy football league-winning stat lines might 39, 34, 33 and 31 - the ages of the quarterbacks in the NFL's version of the Final Four. Sunday marks just the third time in the Super Bowl era that all four players taking the snap will be closer to their 40s than their teens. In a sport where the concept of longevity in its marquee position is fickle at best (see Cleveland Browns), the durability of the men that serve as the centerpieces for their team's title hopes is remarkable. The 31-year-old Ryan has missed just two starts in his nine seasons, the 33-year-old Rodgers nine since taking over for Brett Favre in 2008. The 34-year-old Roethlisberger is throwing more - and getting hit less - than he did a decade ago. The 39-year-old Brady hasn't sat because of injury since Barack Obama was president-elect, not a former president, and has shown no sign of slowing down even as the start of his fifth decade approaches. Trying to find a common thread for their longevity is difficult, though being supremely talented while playing on good teams behind offensive lines that range from improving (Green Bay) to perhaps the best in the league (Pittsburgh) certainly helps. Atlanta Falcons offensive coordinator Kyle Shanahan - who counts Robert Griffin III among his former pupils - points out something else at play. All four are throwbacks in a way compared with their younger and more mobile contemporaries. In a way, being "slow" compared with the Griffins and Cam Newtons of the world may actually be a good thing. "None of them were running the zone read or winning any Heisman (trophies) based off their legs and stuff," Shanahan said. "Pretty much since Pop Warner, they've been learning how to stay in that pocket and how to play the position." For proof look no further than Rodgers dancing in a sea of New York Giants before throwing a touchdown pass in Green Bay's wild-card victory two weeks ago. "His feel for the rush is second to none," Green Bay offensive lineman T.J. Lang said. "He feels it coming. Even when he doesn't see it, he knows he's got a guy coming free off the left, he's going to make a move to miss and get outside and make a big play." There's something to be said for learning how to take a hit, too. While Rodgers' ridiculous pass to Jared Cook that set up the game-winning field goal against the Cowboys last Sunday will live on in playoff lore, it obscures what happened two snaps prior, when Rodgers somehow held onto the ball despite taking a massive blindside hit from Dallas safety Jeff Heath. Add it to the ever growing stable of signature plays by Rodgers. 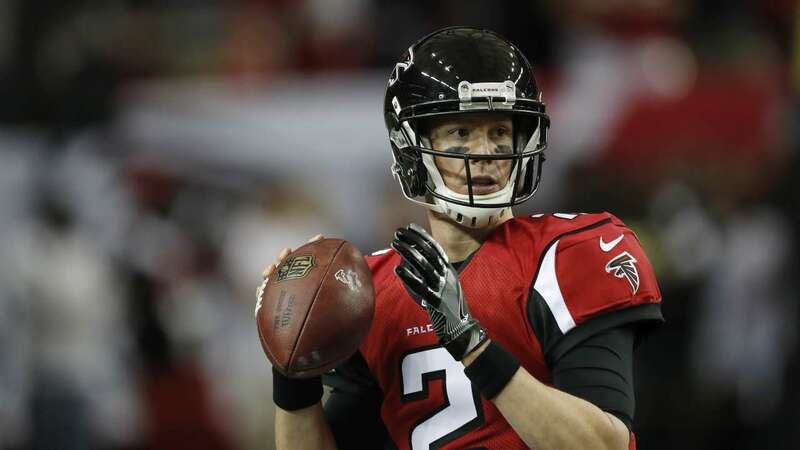 Ryan's ability has largely flown under the radar as the Falcons morphed from contenders to rebuilding and back again. While many of the faces in the huddle have changed, his has not. Ryan was an apprentice of sorts to Tony Gonzalez, the most productive tight end in league history, who took a near fanatical approach to his diet and training regimen. "He was really over the top about it, too," said Ryan, whose 117.1 rating this season led the league. "He really stuck to it and was kind of insane about his preparation, how he got ready and what he did. I always feel like that struck me as, 'Man, I've got to find that right mix for me.'" 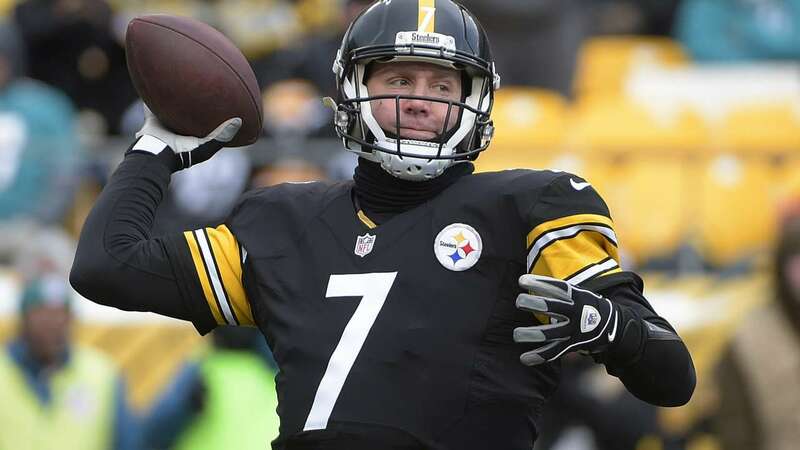 Roethlisberger joked this week that the media's focus on the showdown between himself and Brady when the Steelers visit the Patriots can largely be attributed the future Hall of Famers being "two old guys." There's some truth in that but something deeper, too. 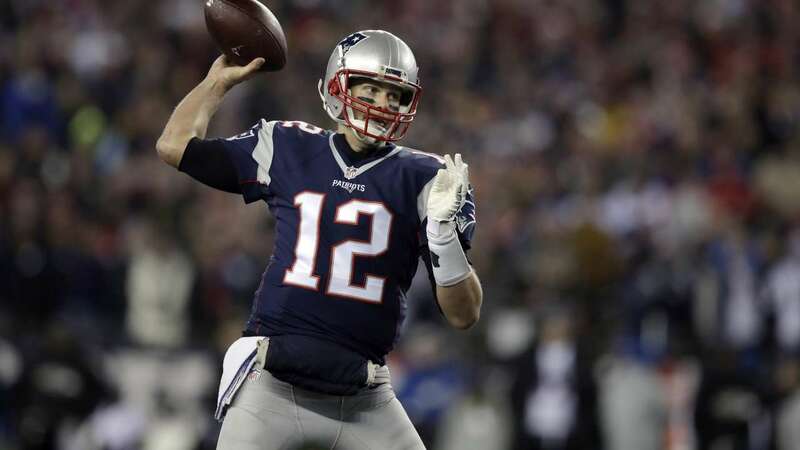 Brady is playing as well as he ever has - his 112.2 quarterback rating is second only to the 117.2 he posted during New England's unbeaten regular season in 2007. Compare that with Peyton Manning, who was more caretaker than difference-maker last winter as Denver sent the 39-year-old into retirement with Vince Lombardi Trophy in hand. Save for a late mini renaissance in 2009 in Minnesota, Favre's nomadic final seasons were more "meh" than marvelous as he bounced from job to job. Not Brady, who hasn't ruled out playing until he's closing in on AARP membership. Hard to blame him after he threw just two interceptions and was sacked just 15 times in 12 games, avoiding the "kill shots" that can end even the careers of the greats (google "Steve Young," ''concussion" and "Cardinals" if you need a refresher). "I think his mind prepares him more than anything," Steelers defensive end Cam Heyward said. "He knows where he wants to go with the ball. He doesn't miss a detail." Yet taking an almost monastic approach to the job has always been The Brady Way. 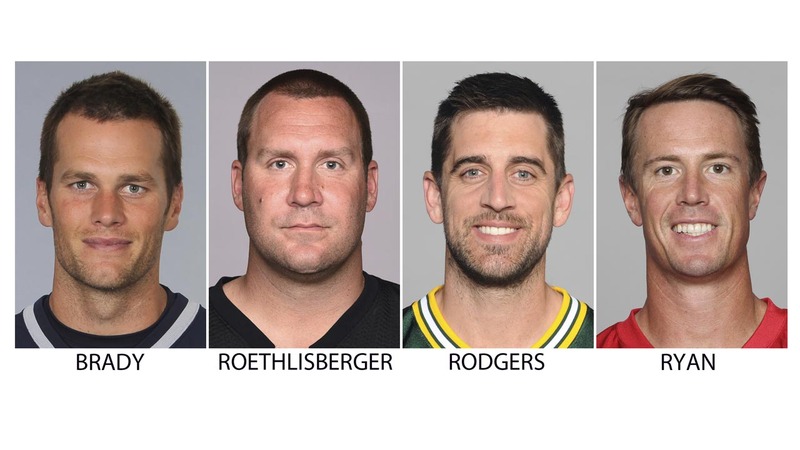 Not so much Roethlisberger, who may be the one in the group who has undergone the biggest transformation. As Heyward put it, "he used to play a lot more backyard football." Not anymore. The "Ben being Ben" days when he would keep his eyes downfield even as he fended off two or three tacklers are largely gone. Offensive coordinator Todd Haley's system requires Roethlisberger to make a read at the line of scrimmage and get rid of it. Roethlisberger is throwing the ball more - and getting hit less - as a result. He's taken a sack once every 19.4 attempts since Haley came on in 2012, compared with once every 11.6 attempts from 2007-11. Oh, and he dropped 15-20 pounds in the offseason to help him keep up with his three kids and stay ahead of defenses designed to stop him. It's an evolution that likely has extended Roethlisberger's prime. He's signed through 2020, when he'll be 38. There is no talk of his window closing, or that of any of the three other guys who will be under center on Sunday. The way they're playing and the way the league is trying to protect quarterbacks (albeit with mixed results), why retire? "They just find ways to stay on the field," Pittsburgh offensive guard Foster said. "Franchises rely on that." AP Sports Writers Kyle Hightower in Boston, Genaro Armas in Green Bay, Wisconsin, and Charles Odum and Paul Newberry in Atlanta contributed to this report.